Affiliate marketing is one of the most known (and most lucrative) ways to earn money online. However, not every blogger is able to generate a good income from affiliate commissions. 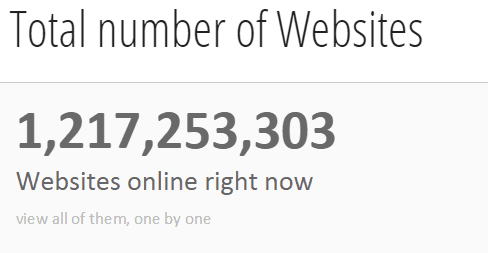 I tell you more, with more than 1 billion websites out there (source “internet live stats“), many will not even be able to generate a single sale. But let’s look at the glass half full. Indeed, many bloggers have taken affiliate marketing a step further and have devoted their entire professional lives to working online. I’m sure it’s the dream of many of you. But what turn a good affiliate into a great affiliate? 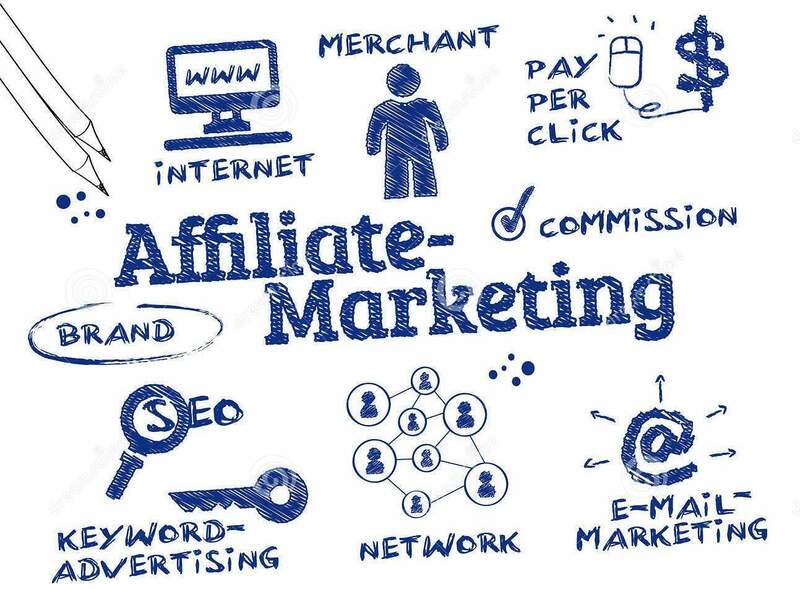 In truth there is no easy answer, as the range of potential products and services that can be promoted through affiliate marketing means that there has been an equally diverse range of practices and methods used to exploit it. If you’re completely in the dark about this whole affiliate marketing though let me fill you in. Here are some points you need to consider when choosing the path of making money online with affiliate marketing (this post contains circa 1500 words and takes around 7 minutes to read). It’s a relatively modern form of marketing that has its roots in the early nineties, when companies would hire members of the general public to direct people to their stores. The reasoning is that people are more likely to trust ‘one of their own’ than a company drone. The affiliate marketing of today is essentially the same practice, only online. Essentially everything boils down to uploading links that direct your viewers to your affiliate partners site. If some of them are going to purchase that product or service, you’ll get a commission out of it. Generally the standard is 10-20%, but for specific products, the commission can be up to 50% or even 70%. So basically the commission amount can fluctuate from as low as $1 up to greater sums, like $1.000, $2.000 or even $10.000, depending on what product or service you are recommending. Now, when you register to affiliate programs, you will get a unique affiliate link, that you are going to use when promoting that specific product. This is a tracking URL, which companies (or affiliate networks) use to record if the sale was generated by your referral. Every affiliate program you are going to register to, has its own terms of service like, for example, the cookie period. If this time is set to 30 days, this means that if your visitor use your affiliate link to check a product web page, but decide to buy it within the next 30 days period, then you will still receive the affiliate commission. Here are some important affiliate marketing terms you should read about. Affiliates: people (webmasters, bloggers) who will use affiliate programs in order to generate an income. Affiliate Marketplace: networks you can sign in, to find different affiliate programs in a specific niche (for example, ShareASale, ClickBank, Amazon, etc). Affiliate Link: the unique tracking link you will receive when signing up for an affiliate program. Commission: it’s the amount of money you are going to get for each sale of the specific product or service you promote. 2 Tier Affiliate Marketing: another source of income for you. Basically, if you recommend registering to an affiliate program and some of your readers will do, you will get a percentage of the commissions this user is going to generate (for a certain amount of time – generally one year). Some examples? SeedingUp, ValuedVoice. The above mentioned are just the basic terms you need to know to start your journey as affiliate marketing. Soon, you will learn about coupons code, URL shortener, landing pages, and so on. Obviously if your blog adheres to a specific niche, you’ll want to use partners whose products reflect that market. For example, if you’re running a blog that deals with health and fitness you should be looking for affiliates that deal with products such as health supplements and gym equipment and services such as personal training. If your blog is less focused of course you’ll have potential options, but it’s always best to have a clear, defined focus. Also, try not to focus on affiliates that only sell small ticket (inexpensive) items and services. For bloggers who write about WordPress or websites creation, HostGator affiliate program gives a fair commission for each sale. And when you receive an email in your inbox, announcing that you made a sale, you can party! As a blogger, affiliate marketing can potentially create an enormous amount of revenue for you and whomever it is you’re partnering with, but if you’re too heavy handed with it, your blog could lose its credibility. As your blog loses credibility it will lose viewers and that will send it spiraling down the search engine results ranking, leading your partners feeling like they’ve backed a lame horse. Be sure to keep your blog stocked with content that isn’t affiliate marketing based or people will soon see through you and you’ll not only lose your blog but also any potential revenue you could earn through it. If your content is not worth reading then nobody will read it, it really is that simple. Unfortunately as an affiliate, there’s very little chance you’ll be going it alone. If you really want to make a decent amount of revenue you’ll need to use an affiliate program. The company who run the program will be the ones paying you so make sure that you do as much research as possible into the companies rates in comparison to their competitors and ask around to see if the company you’re considering have a good track record with their users. Most affiliate programs will operate on a ‘pay per click’ or ‘pay per sale’ basis. With PPC, you’ll get a commission for every person who visits your site and is referred to your affiliate partners site through your links and with PPS you’ll only get your commission if the visitor eventually ends up purchasing an item or service from your partner’s site. Obviously you’ll generally gain more commission from a PPS system, but the commission will be far more infrequent. Whether you decide you prefer PPC or PPS depends very much on your own personal preferences but make sure that the company you choose to work for uses the payment arrangement that you’re most comfortable with. Well, be sure to promote just those specific products or services which are relevant to your users and strive to create content that solves their problems or needs. This is a good article from MarketingLand, that explains 7 big mistakes that new affiliate marketers make. The first mistake is “Selling, rather than helping”. Be sure to write genuine posts to help your audience solving one of their needs or issues, and you will be right on your way to finally generate an income with affiliate marketing. When it comes to affiliate marketing, as any other tasks online if you are going to use the right tools, everything become much simpler. First of all, you want to have a blog. If you use WordPress, I have two tools to suggest you. The first is called MBP Ninja Affiliate plugin, which is going to make your affiliate marketing work much easier. Basically, it helps managing all your affiliate links under one single dashboard, making easy to add them every time you create new content. Also, you can create groups for your links, cloak and customize them. Here’s a guide I wrote last year about MBP Ninja Affiliate plugin. The second tool I suggest you is WP Product Review plugin, which allows you to create nice graphics with different options for your reviews (with pros and cons of the product or the ability to easily insert affiliate links) and offers you a fast and easy way to add different interesting functionalities to your blog content. Here’s the link to the WP Product Review in NoPassiveIncome blog archive. I hope this small guide to affiliate marketing is going to help you to get started. There are many possibilities to earn money on the web. Most of them have in common that you need high quality content. To generate truly high class journalistic content an education is the best way. Open School of Journalism offers a distance education program in journalism with many electives including online journalism, content marketing etc. And you, are you making money with affiliate marketing? Do you have any other suggestions to add? Another great post. For full time bloggers, a large part of the earning comes from affiliate marketing. It is very important that you choose to market the right product according to your niche, as you have mentioned in the post. Marketing a wrong product will not generate any revenue as it will not cater to the needs of your target audience. This was an informative post. Have a good week ahead. and I really appreciate you making me aware of the typo (a big one, actually). These are some great tips on Affiliate Marketing. The best way to promote a product is to write an honest review. You would also need a big subscriber list. Most of the people now a days don’t open all their emails. So, you’ll have a low open rate. Sending newsletters is the best way of affiliate marketing because you’re targeting specific audience and you have a higher chance of selling. It means a lot, said from you, an expert marketer! Your readers will notice if you are writing for them, or for the sake of selling the affiliate products. I think affiliate revenue should be part of most bloggers income. I like it because it requires less traffic than advertising. Good point about balance.I think many bloggers start to think about monetization too late. Thank you for the MBP Ninja recommendation. I am looking into it. It may require less traffic, but it does need trust in the author of the content, in order to buy something from his affiliate links. Glad you enjoyed the post, George. I am huge on churning out the big, in-depth posts that really gain the trust of your readers. Once you have that trust, you’re golden on the affiliate side of things. Excellent points Erik, because if you create helpful content, and in-depth stuff at that, and if you give it away for free, you’ll generate affiliate sales or product sales, no problems. you know what reputation means. You are building a fantastic dream around your name, living on an island thanks to blogging. Visiting your latest blog post right now. Thanks for sharing Erik! Have a great rest of the week! There are so many different things to learn online, that you would need months to dedicate just to “study”. Glad you liked the post, I really appreciate the share. and have a great rest of this week, my friend. That is a wonderful post with lots of tips. I see the “produce high quality content” in all caps – that’s very important. For affiliate marketing to work, it is essential that we first build the trust. It is not about one off sales and commissions. It is about a long term relationship. If we can prove to people that we are being genuine (in our recommendations) and helpful (in the reviews and tutorials), it is easy to earn that trust. If people don’t trust the author of the content, they won’t buy anything from his affiliate links. It’s all about building a reputation. Thanks for your visit and comment, Jane. Great affiliate marketing tips Erik! I am too a affiliate marketer but sometimes I too make couple of mistakes. I also read the post that was pointing to marketing land. And Now I hope I would be able to increase my long term profits. glad to hear this post was useful. Great affiliate marketing tips Erik Sir. According to me, choosing right partner and produce high quality article is the main point. But sometimes affiliate sale depends on trust value. If we build trust in our readers. We can make affiliate sale easily. BTW thanks for your tips. You mentioned two important things to consider when writing for placing affiliate links. As you said, at the end it’s all about the trust you inspire to your audience. and have a good one! Again a useful post by you for bloggers to help newbies to make money from blogging. Affiliate marketing is the best way to make money online, one can make huge income from affiliate commissions. Sky is the limit. Easy to start with, but hard to make it effectively work. Simply nice post. Affiliate marketing is one of the finest ways to earn money online through your blog but doing it right way can only work. Just adding few affiliate links in your posts don’t work mostly. Hosting companies pay well. I am using CJ and planning to start using ShareAsale too. My experience with Hostgator was not good. They cancelled my commission when I made few sales on cyber Monday deals. Just adding few affiliate links within your content does not work at all, it won’t make you any sales. I like the way you explained How to Make Money With Affiliate Marketing. Thanks for the positive feedback, Rahul. Wonderful post about affiliate marketing. Its really great to know new tips and strategies of course. Glad you enjoyed the post, Ashish. That is an eminent post with loads of tips. I see the “produce brilliant substance” in all tops – that is imperative. For associate promoting to work, it is fundamental that we first form the trust. It is not around one off deals and commissions. It is around a long haul relationship. In the event that we can demonstrate to individuals that we are being certified (in our proposals) and accommodating (in the surveys and excercises), it is anything but difficult to procure that trust. Much obliged concerning putting this up! Glad you confirmed my points. Affiliate Marketing is really awesome and one of the best way to make money online. I also make some money per month from Amazon Affiliate and MyThemeShop affiliate. I’m going to make money money with MyThemeShop and it’s really awesome. Thanks for sharing your experience, Fakharuddin. Erik, excellent stuff releaved again. First foremost thing is have your audience , with out them n doing something is useless. We should have our loyalty to the audience , our readers or if we do videos, we should precisely know our viewers or our listeners, and create something fantastic stuff, that talks about different ascepts of a well-defined topic and that, gives you a lots of flexibility so you can talk about different kinds of products on an affiliate basis. The next important thing is the content creation magic which always serves as key profitable to affiliate marketing. If you deliver good content means that you’re giving value to your reader. You’ve well statement your experiments on various products, you’re good marketer from your post I can see that you gives words and understanding how you use it, telling about choose right partners, find balance , care about, right tools that helps better understand about affiliates products as well. Affiliate marketing is based on giving helpful and honest reviews of relevant products and services to your audience. Of course, they are more likely to buy from people they trust, so building authority is another step toward affiliate marketing success. Hope you browse trough more posts and find more useful articles! Thanks for the kind feedback, and enjoy the blog. Earning money from affiliate marketing very hard for me, I started my affiliate program through ShareASale last 2 months back, till now I didn’t make any sale. Sometimes I feel I am dumb at affiliate marketing, after reading this article, I got a little hope of earning money from affiliate, let us hope for the best, thank you very much for sharing this information. – you gain a LOT of organic traffic, and chances to make good sales really increase. In the very first visit to your blog,I was totally amazed with your awesomeness! of the post,Your catchy titles really makes me of course others too click on it,The Post seems really great,you’ve explained everything from the scratch and that’s a cool stuff! Affiliate marketing is the most profitable method to earn money online but It also bit difficult if we will not promote the product correctly. Right? As I have seen in the above article that You have exlain a little bit about HostGator affiliate program. I have a question that when HostGator pays to their affiliates? Glad you liked the post, Chaten. About your question, HostGator pays his affiliates once they reach at least 100$ of valid commissions. Are you having results with their affiliate program? I had completed 2 sales for which the commission should be 100$ but I was asking on which date HostGator pays to their affiliates? Erik I want a article on How to Earn Money Through App using Affiliate.Please Write on this. Thanks for giving me this suggestion, Ankush. Thanks for the new idea Erik, I would like to try hostgator once more as an affiliate. By the way what is the best way to sell hosting offers? Writing content that help your readers. Solving problems or needs. Example: a guide on MySQL. hope this post is going to help you making money with affiliate marketing. This looks to be the best affiliate marketing Tip, hopefully will help many bloggers to generate more affiliate sales. Nice Affiliate Marketing Guide , i love it, thanks for sharing this Erik. Thanks for the positive feedback, Karan. Last time when I joined Hostgator affiliate platform I didn’t got any cashout as my sales were showing invalid so I was very disappointed. There’s must be a reason for that, Osho. Have you tried checking their TOS? I have started a affiliate marketing few days before but I am not able to get more sales from my blog. Now today I got a quick guide regarding affiliate marketing and Now I will use the Plugin in my blog especially WP Product Review. Hi Erik, Thanks for writing outstanding article. My blog is two months old with 3000 Visitors per month. Suggest a right time to start Affiliate Marketing. You can start affiliate marketing right away, even after just one post. Be sure to respect the user experience, add only relevant affiliate links and not overdo. This is the true which is presented in the blog regarding the number of websites: 1217253303 and the way one could earn money through Hostgator is also great. Blog post was really superb and inspiring one. hats off to you. I use a few affiliate programs. But i’m novice at this one. Your advices are really helpful. Now i can go on next level. I will follow up your articles. Thank you so much for your tips! This article is great for new people in this industry. Thank you for writing this article for us. And I am really trying not to make this mistake of “Selling, rather than helping”. By the way, thank you again for these tips. Still till this day, good information. Erik, a lot of beginners don’t know this and can save a lot of time by not making these basic mistakes. Affiliate marketing is good, and profitable, but only if it’s done the right way. Great informative post, my advice is to start affiliate makreting as a side job, give value/top notch content to your audience, establish yourself as an authority then the reward will come.